As if that’s not enough, an anonymous informant with insider intel is trying to sabotage my dad’s company on social media... and I’m afraid it's working. Laurel was surrounded by people who put out into the world, "let's talk about me, because your issues aren't as important as mine," which feels narcissistic and dismissive, not true friend-like behavior, when she was already putting everyone else first. The 'mystery' of the novel was predictable, and I wished another character was chosen as the villain of the story, but it created a fast-paced, addictive page-turner of a read. I definitely recommend Spies, Lies, and Allies to young adults and those young at heart, looking for a fun, light, yet equally emotionally deep novel. Lisa Brown Roberts has become my go-to young adult fix. Lisa Brown Roberts still hasn’t recovered from the teenage trauma of nearly tweezing off both eyebrows and having to pencil them in for an entire school year. This and other angst-filled memories inspire her to write YA books about navigating life’s painful and funny dramas, and falling in love along the way. 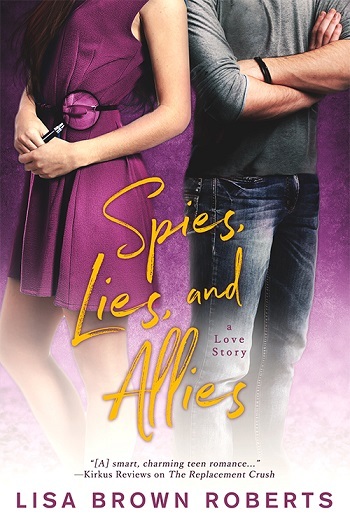 Reviewers on the Wicked Reads Review Team were provided a free copy of Spies, Lies, and Allies by Lisa Brown Roberts to read and review.